Your smile is your asset. A creative touch can make it appear the best. Cosmetic dentistry is the science of crafting wonderful smiles through dental treatment techniques using appliances in dentistry. A dental professional who has the idea of just what is required for a smile can bring out the best from cosmetic dental treatment. The process requires active involvement of the patient because at the end of the day he/she should be happy about the results. We welcome you to our dental office where we provide quality dental services to improve their oral health of patients. Speak to our dentist to know how cosmetic dentistry in Yorba Linda, California can transform your smile and bring a positive change in your life. Cosmetic Dentistry - How it Transforms Your Smile? Cosmetic dentistry does not refer to a single procedure, but a combination of different procedures that are carefully planned to bring about the expected changes. The treatment depends on the findings from examination and the changes patients expect. There can be a number of esthetic problems that tend to make the smile less attractive. Following are some of the commonly found teeth errors. There are a number of techniques that are followed to correct these teeth errors and bring about the expected changes. Dental veneers, Dental Implants, braces, teeth whitening and teeth colored fillings are some of the treatments/appliances used to improve the esthetics of the smile. Your initial consultation with our dentist will involve thorough examination and questionnaire. Our dentist may ask questions related to changes you expect from the treatment. After making a note of all the changes, our dentist sets a feasible treatment plan to suit the requirement. It may be a combination of different procedures. We take images of the teeth before and after the treatment to ensure that the changes are documented. A preview of the expected results can help you make corrections to the treatment plan and decide on the final procedure. 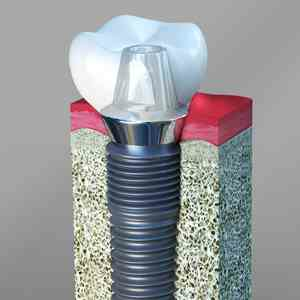 Dental Implant - Dental implants are teeth restorations that can enhance the appearance of the smile. When a number of teeth are missing, dental implants can play the key role of protecting the jawbone and preventing it from resorbing. Implanted teeth keep the facial muscles in shape and enhance the appearance of the smile. 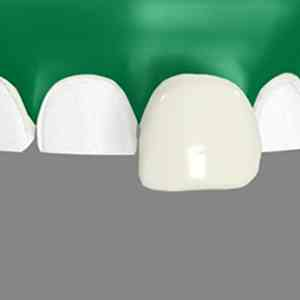 Dental Veneer - Dental veneers are thin shells of porcelain which are designed to reshape the front teeth. These shells can help mask errors like gaps between teeth, crooked teeth, small misalignments and discoloration of teeth. 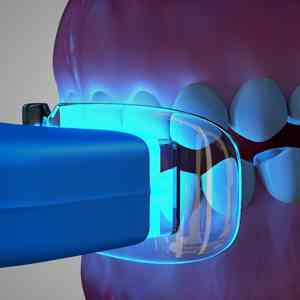 Tooth Whitening - Tooth whitening is a procedure performed to brighten teeth. The process removes stains and whitens teeth to make them look more healthy and attractive. What should patient do before visiting the cosmetic dentist? Smile makeover procedure at our office requires active participation of patients. There may be certain aspects of the smile that a patient is unhappy about. It may be related to the length, color or shape of the teeth. A patient can make a note of the things that should he or she thinks should changed in the smile before visiting our office. This gives our cosmetic dentist a general understanding of what patients expect from our smile makeover procedure. After evaluating the needs and feasibility of treatment we explain patients the treatment options and help them with making an informed decision. What do we mean by the term cosmetic dentistry? The word cosmetic refers to beneficial changes in appearance. Thus cosmetic dentistry is all about dental work that restores or improves a person's appearance. What exactly is a smile analysis? This is the first step to improving your smile. This analysis involves a study of all the elements of your smile such as teeth appearance and alignment, gums, jaws and also your facial features and how they all fit together. How long does tooth whitening effect last? The results of tooth whitening are not permanent. People need to take additional care of their teeth. People who expose their teeth to foods and beverages that cause staining may see the whiteness starting to fade much earlier than expected. Tooth sensitivity can affect one or more teeth. When you eat or drink like cold, hot, sweet or sour foods sometimes even a breath of cold air can cause a sharp and sudden pain. Then you have to use the Sensitivity toothpaste which is effective in treating sensitive teeth. If you don't get relief by gentle brushing, see our Family Dentist Dr. Rogers. Regular dental visits will reduce the risk of developing Periodontal Disease. Why should I choose Dr. Rogers as my family dentist? Dr. Rogers and team uses advanced technologies and modern equipment to ensure patients receive a high quality of dental care. We are offering Cosmetic Dentistry, Dental Implants, Sleep Apnea, Emergency Dentistry, Endodontics, Family Dentistry and many other dental services. Our family oriented dental office is designed with our patient's needs in mind.